Pastor Youcef Nadarkhani (41) leads the Church of Iran house church network in the northern city of Rasht, capital of Gilan province. He was born into a Muslim family but became a Christian at the age of nineteen. In July 2018, Youcef began serving a ten-year sentence in Evin prison for “acting against national security” including “propagating house churches” and “promoting Zionist Christianity”. He previously spent three years in Rasht’s Lakan prison under sentence of death for apostasy, a case that gained international attention, and was acquitted in 2012. LATEST NEWS (22 JULY 2018): Police violently arrested Youcef at his home and took him away to begin serving a ten-year prison sentence. Youcef was detained on 13 May 2016 during a series of raids by Ministry of Intelligence security agents on Christian homes in Rasht. His congregation, composed of converts from Islam, had gathered for a communion service in the home of Yasser Mossayebzadeh and security agents took Yasser, Youcef and Youcef’s wife Tina into custody and confiscated Bibles, computers and mobile phones. Youcef and Tina were released later that day. Security agents later arrested two other members of the church, Mohammadreza Omidi and Saheb Fadaie. Yasser and Saheb were released on 28 and 29 May 2016 and Mohammadreza on 7 June, all on bonds equivalent to €29,000. On 24 July, officials summoned Youcef to court, charged him with “crimes against national security” and released him on the same bond. In June 2017, Youcef, Yasser, Mohammadreza and Saheb were summoned to court in Tehran, where they were found guilty of “acting against national security” including “propagating house churches” and “promoting Zionist Christianity” and sentenced to ten years each in prison. The judge ordered that Youcef and Mohammadreza serve an additional two years each in internal exile. The four Christians appealed, and in December 2017 they attended a hearing at the Revolutionary Court in Tehran, but their appeals failed. They waited to receive the customary summons to prison, but none of them received a summons and instead Youcef was arrested violently on 22 July 2018, when ten police officers burst through his front door and violently assaulted him and his son Daniel, punching them and using electric batons. Youcef was beaten and taken away to Evin Prison in Tehran; it is believed that his violent arrest was an attempt to intimidate the Christian community. In the following three days, Saheb, Mohammadreza and Yasser were also arrested at their homes and taken to Evin prison. Youcef is married to Fatemeh Pasandideh (known as Tina) and they have two sons, Daniel (16) and Joel (14). During Youcef’s earlier imprisonment, in June 2010 the authorities arrested Tina and put her in Lackan prison on a charge of apostasy to put pressure on her husband. During this time their sons lived with a relative, and the authorities threatened Youcef and Tina that their children would be taken away and given to a Muslim family. Tina was put on trial without a lawyer and was sentenced to life in prison, but a lawyer was later hired and the conviction and sentence were overturned on appeal. Tina was released in October 2010. December 2006 Youcef was imprisoned on charges of apostasy and evangelism, but was released two weeks later. September 2009 Youcef was arrested after going to his sons’ school to protest against a government decision to teach Islam to all children, including those from Christian families, a policy he believed was unconstitutional. He was charged with protesting and imprisoned in Lakan, five kilometres south of Rasht. The charges were later changed to apostasy and evangelism, and the authorities pressurised him to renounce his faith. 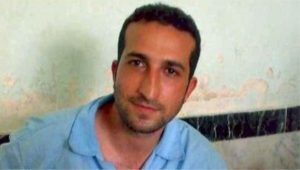 22 September 2010 A court in Rasht found Youcef guilty of apostasy and sentenced him to death by hanging. He argued that while he had been born into a Muslim family he never really believed or practised Islam and therefore should not be regarded as an apostate. His lawyer filed an appeal. June 2011 The Supreme Court upheld Youcef’s conviction and death sentence but referred his case back to the local court in Rasht to clarify whether he had truly been a practising Muslim from the age of accountability (15) until he became a Christian at 19. In September, the local court determined that he had not been a practising Muslim but declared him guilty of apostasy due to his Muslim ancestry. The judges repeatedly demanded that Youcef recant his Christian faith, but he refused. 8 September 2012 Youcef was acquitted of apostasy at retrial and released, but was found guilty of evangelising and sentenced to three years in prison, most of which time he had served. He was recalled to Lackan prison on Christmas Day to serve the remainder and was released on 7 January 2013. 13 May 2016 Youcef was arrested with several other converts in a series of raids by Ministry of Intelligence agents on ten Christian homes in Rasht. The agents raided a communion service in the home of Yasser Mossayebzadeh, where they confiscated Bibles, computers and mobile phones and took Yasser, Youcef and Tina into custody. Youcef and Tina were released later that day, but the agents later arrested Mohammadreza Omidi and Saheb Fadaie. Yasser and Saheb were released on 28 and 29 May 2016, and Mohammadreza on 7 June 2016, all on bonds equivalent to €29,000. 24 July 2016 Officials summoned Youcef to the Revolutionary Court in Rasht, charged him with “crimes against national security” and released him on a bond equivalent to €29,000. He was also accused of being Zionist. 14 June 2017 Youcef, Yasser, Mohammadreza and Saheb were summoned to the 26th branch of the Revolutionary Court in Tehran and found guilty of “acting against national security” including “propagating house churches” and “promoting Zionist Christianity”. Judge Ahmadzadeh sentenced them to ten years each in prison. The verdict was dated 24 June but was only received by their lawyer on 6 July. The judge ordered that Youcef and Mohammadreza serve an additional two years each in internal exile in southern Iran, far away from their families – Youcef in Nik Shahr, 2000km southeast of Rasht. They all appealed. 13 December 2017 Youcef, Yasser, Mohammadreza and Saheb attended an appeal hearing at the Revolutionary Court in Tehran before Judge Hassan Babaee and Judge Ahmad Zargar, both alleged to have prominent roles in Iran’s crackdown on freedom of expression. The appeal failed. 22 July 2018 Early on Sunday 22 July, about ten police officers burst through the front door of Youcef’s home and violently assaulted him and Daniel, punching them and using electric batons, despite the fact that neither had offered any resistance. Tina and Joel were also in the house at the time. The pastor was beaten and taken away to Evin Prison in Tehran where he was initially held in solitary confinement before being moved to a ward known for its extremely poor conditions including overcrowding, excessive summer heat and insect infestations.